$49.00 regular $98.00 No returns, no exchanges. With distinctive ruching down the front of the leg, the Glove Legging has fresh, edgy style. Cut slightly above the ankle, you can wear with short boots or slip on your flats for a more casual vibe. 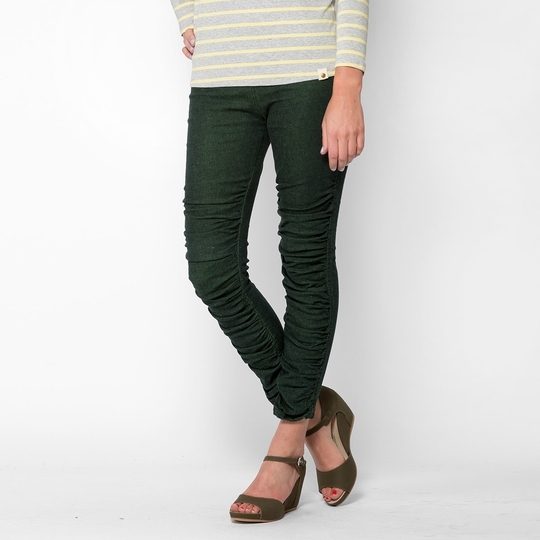 The wide waistband and cotton stretch fabric make these super comfortable.